Extended Offset - Multiple Offset with ability to offset on left/right and both sides. You can set an unlimited number of offset values. The offset distance can be measured from the original object or from a previous offset value. 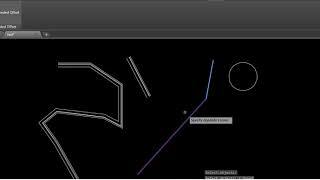 The command automates the standard Autodesk® AutoCAD® offset command. Supported objects include every curve that can be offset by the standard offset command. If the line/Polyline is horizontal, then the offset is created above and below. Added 2020 support. No change in version number.